Shazzloc takes you through a tour of one Los Angeles’ most active and oldest Crip gangs; the Grape Street Crips. The Grape Street Crips gang is the largest Crip gang in Watts occupying one of the largest housing projects, The Jordon Downs. Active since the 1970s, the purple wearing Crips have been engaged in a violent rival with the Bounty Hunter Bloods in Watts, for decades, but they also were known for a major truce in 1992 near the time riots hit Los Angeles. Concrete Hell also takes you to the Nickerson Gardens, home of the Bounty Hunters. Hear what members of the Bounty Hunters, Grape Streets and others think about copy cat gangs in New York, how hip hop has emulated LA gang culture, their views of popular gangster rappers and how rules of the streets in LA has been violated in other places that want to follow LA’s gang path. 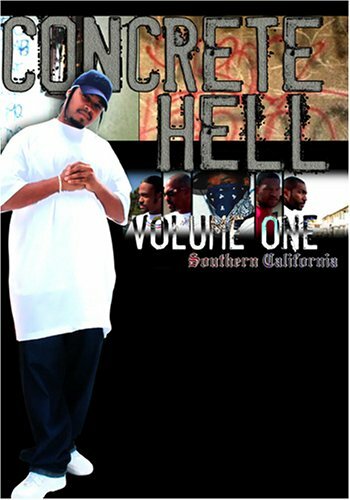 If you want to hear gangster rap from real gang members, Concrete Hell also features rap freestyles from many of the actual gang members. There is a strong sentiment against ganster rapper Game coming from many of the participants in the documentary. Shazzloc also takes you to the Hub City Compton, California visiting the Fruit Town Pirus, and the Nutty Blocc Compton Crips. If “NY” on a New York Yankees hat does not stand for New York, what does it stand for? Take a visit down to Concrete Hell and find out.